For day two of this year’s #30DaysWild challenge I opted to do something positive for nature in my own back garden. 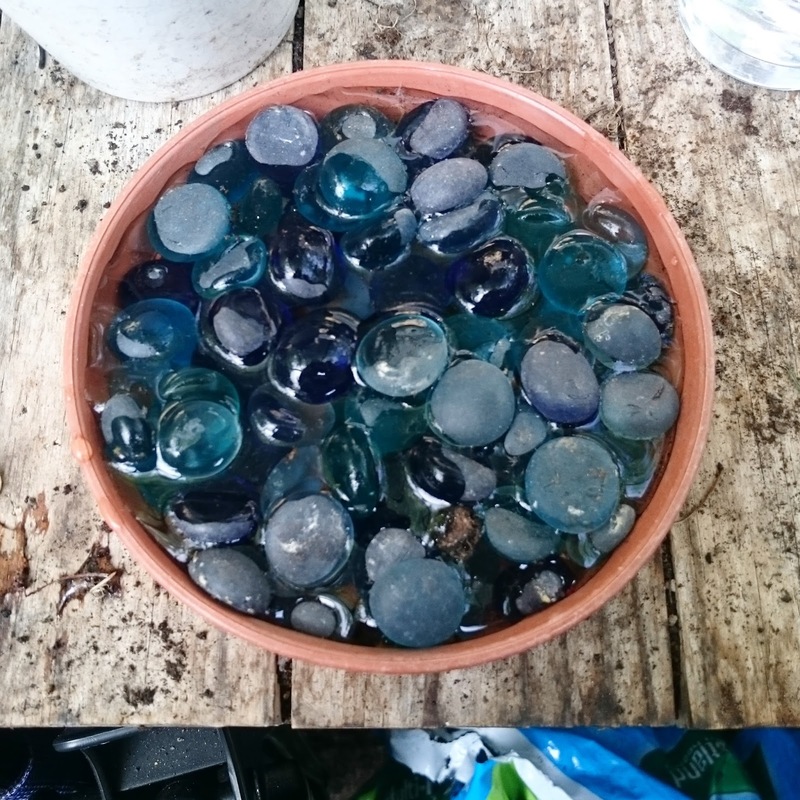 Using a plant pot drip tray, some glass beads and some water, I have made a bee watering station! Though it isn’t exclusive to bees, the idea is that flying insects can come down to the tray and rest on the marbles while being able to drink water without risking falling in and drowning. I put it on a table under one of our fruit trees which is sheltered and surrounded by flowering plants, so there is lots of food nearby, and the water won’t evaporate quite so fast (it would do so in full sunlight).